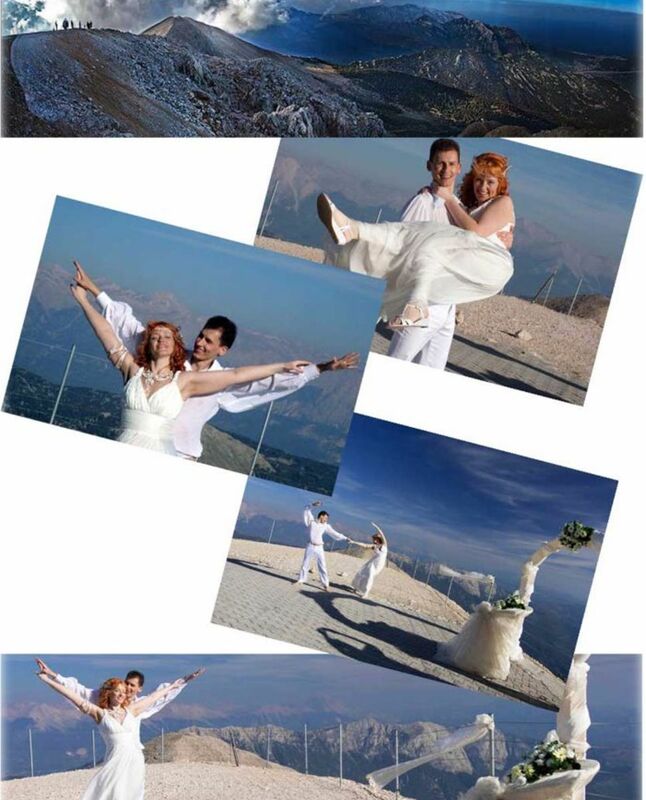 Have a dream wedding on Olympos Mountain, where once Zeus declared his love to Hera, An amazing view, like you can touch the white blue sky with your hand. The mystical atmosphere of the Olympos mountain, breathing the fresh air of the forest and the sound of the nature will fascinate you The view of the blue waters of the Mediterranean in 2365m height, will take you and your Lover to endless imaginations! An Altar will be set up and decorated with ivory coloured chiffon and artificial flowers. A special wedding table, standing beneath the Altar, will be also decorated with ivory coloured chiffon and artificial flowers. Ring pillow in decoration colour will be prepared. 2 artificial flower arrangements on long metal stands will be placed on both sides of the Altar. White lacquered chairs will be decorated with ivory coloured chiffon bow ties. 4 artificial flower decorations on high metal stands will be set up at the bridal walking way. A white carpet will be rolled out and red rose leafs will be spread on it. Table and chairs will be decorated with ivory coloured chiffon. Artificial and fresh flowers and gold coloured runners will decorate the tables. Gold coloured under plates will be set up, and gold coloured napkin rings will be used. Beautiful candles will be placed also on the table. A bridal walking way will be prepared with 4 artificial flower arrangements on high metal stands. A white carpet will be rolled out and red rose leafs will be spread on it. The fee for the ride in the cable railway / telpher. 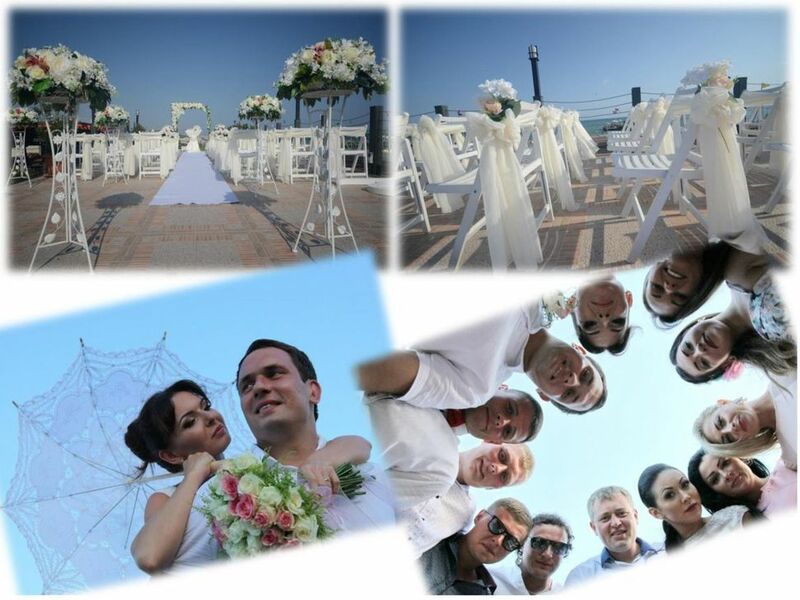 Wedding City Antalya Team will come to the Hotel at 10:00 and will serve up to 22:00 o’clock.